We are almost into the holiday season, which means it is time to brush the dust off of those old networking goals you had at the beginning of the year. You are about to learn how to refine your skill just in time to hit the holiday party circuit. If you are uncomfortable with the idea of networking, you are not alone. 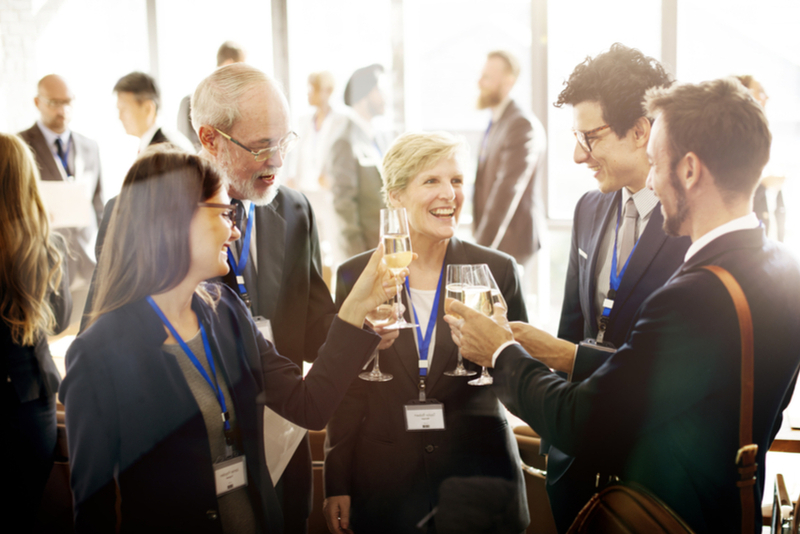 There are plenty of insurance professionals that don’t take the time to network. But, no matter how you look at it, networking affords you the opportunity to make new connections and build relationships which is what business is all about. So, you can’t afford not to go. Now that you’ve committed to networking, let’s go over some helpful tips that will ensure you make the most out of these opportunities. Don’t underestimate your social media presence. This might not seem like it relates to networking events, but I assure you it does. Social media is the first place people go to learn more about you. If you made great impressions all night long, but don’t have a professional social media platform, you might lose some credibility. So, make sure before you go out, you have your professional social media accounts tuned up. This is the most important “second impression” you are ever going to make. Make sure you arrive either a few minutes early or right on time. This will give you an advantage to meet the hosts of the events and give you time to get comfortable before others arrive. Establishing a relationship with the host of the event can help you even build more connections than you were counting on. Make sure to hand out your business card. When you meet new people, whether is be a potential client or a new colleague, you want to ensure they will remember your name and your contact information. Another great tip when you are exchanging business cards with people is to write notes on the back of cards you receive. If you write down something about your conversation, you are more likely to remember each individual and be able to reach out. Plus, you will have something personal to share with them about the conversations you had. People feel special when you show them you were truly paying attention during your time together. This is a great way to show potential clients that you are trustworthy and care about maintaining a relationship. Make sure to bring your staff with you. You will make even more connections for your business. You can also use this opportunity to develop your younger staff members. If you are an introvert, bringing your staff will put you at ease and help you feel more comfortable to mingle. Don’t talk about insurance. People want to make real connections with people outside of work, so don’t spend the evening trying to sell people your skills or services. It will be a big turnoff. There will be plenty of time to talk business afterwards when you follow up. Be conscious of your conversation skills. Make real connections with people, and they will remember you. Also, make sure to focus on your conversation and be an active listener. This skill is rare nowadays, so if you show off your listening skills, you will stand out. This is also a worthy tip for acing a job interview. Seek out other professionals that are in your field, even ones you compete with. These relationships can give you the opportunity to exchange ideas and examine your methods. These competitive relationships also push both colleagues to do better and promote professional growth and development. Make sure to follow up with the connections you made. You can send an e-mail, call, or reach out online. This is why you went to the event, so don’t forget to follow up. This is the most overlooked portion of networking. The ability to network is an art and will take practice. However, if you are able to push yourself outside your comfort zone, you will reap the rewards. Remember, every business is a “people business,” and you will differentiate yourself when you bridge the gap between client and friend. At JL Nixon Consulting, we help individuals in the insurance industry find their perfect career match. Our team can help you throughout the job-hunting process so that you land the best opportunity to take your career to the next level. Call (210) 649-1500 or contact us for more information. Why Should an Employer use a Recruiter?